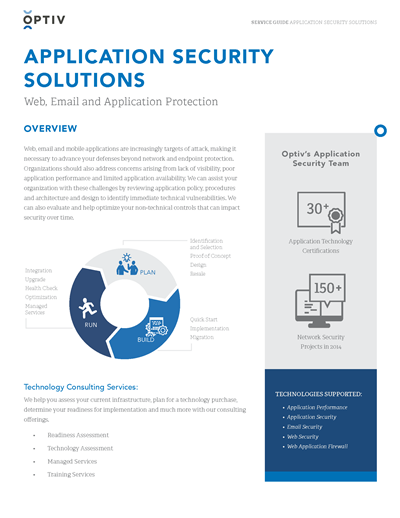 Web, email and mobile applications are increasingly targets of attack, making it necessary to advance your defenses beyond network and endpoint protection. Organizations should also address concerns arising from lack of visibility, poor application performance and limited application availability. We can assist your organization with these challenges by reviewing application policy, procedures and architecture and design to identify immediate technical vulnerabilities.